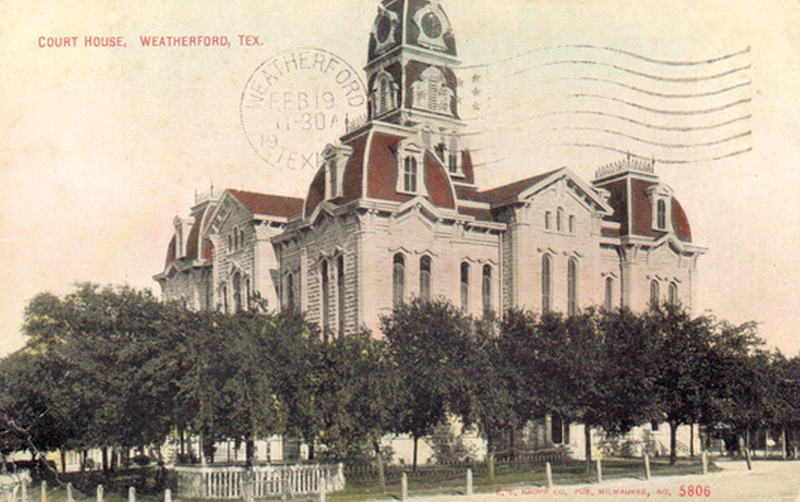 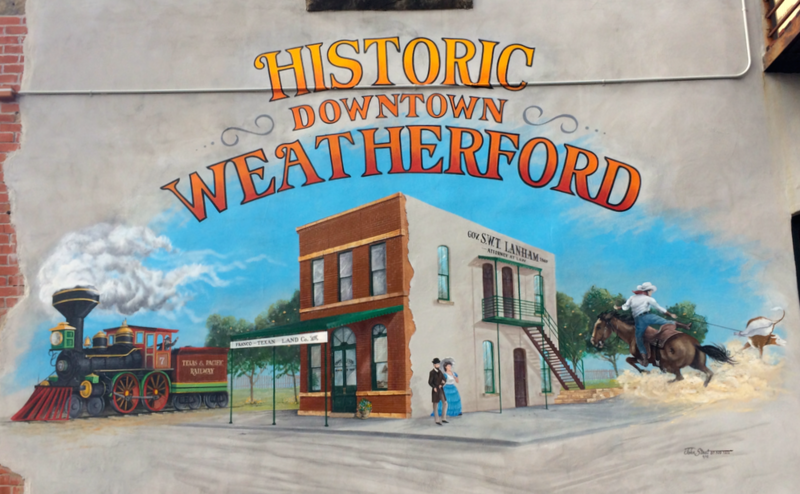 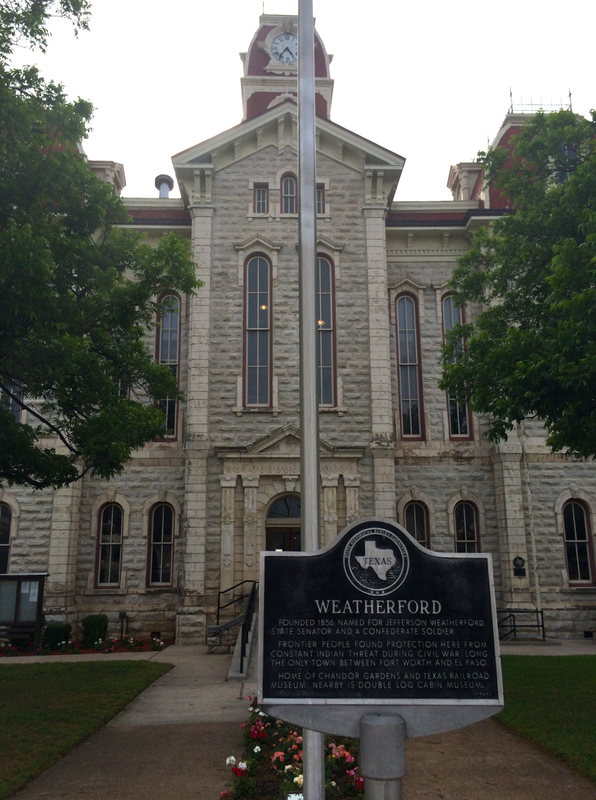 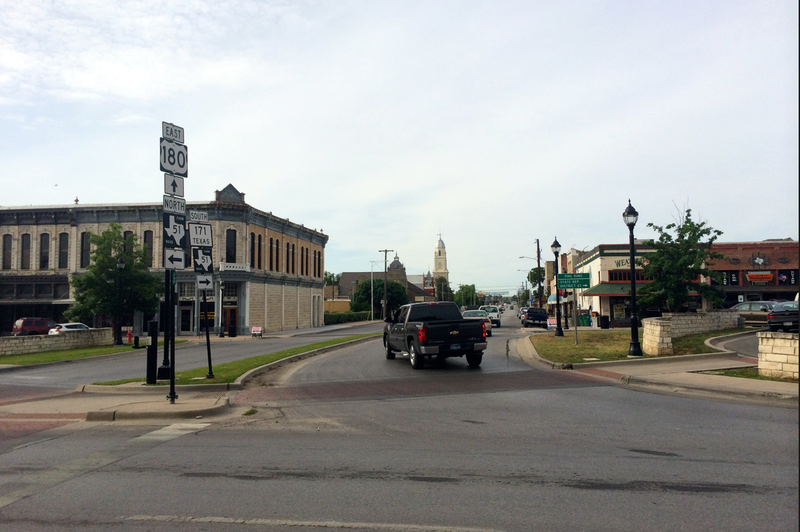 I was the guest of Parker County and Weatherford on January 8, 2011 and returned to rephotograph the courthouse on May 17, 2014. 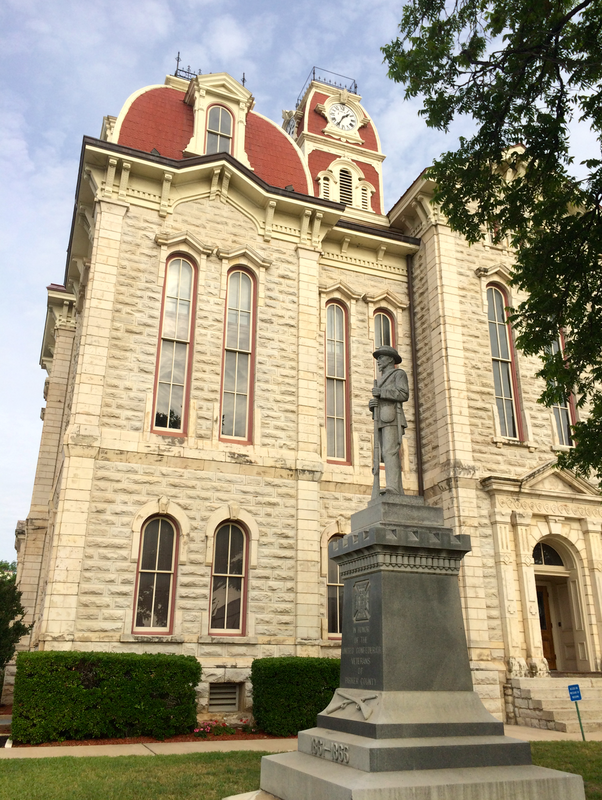 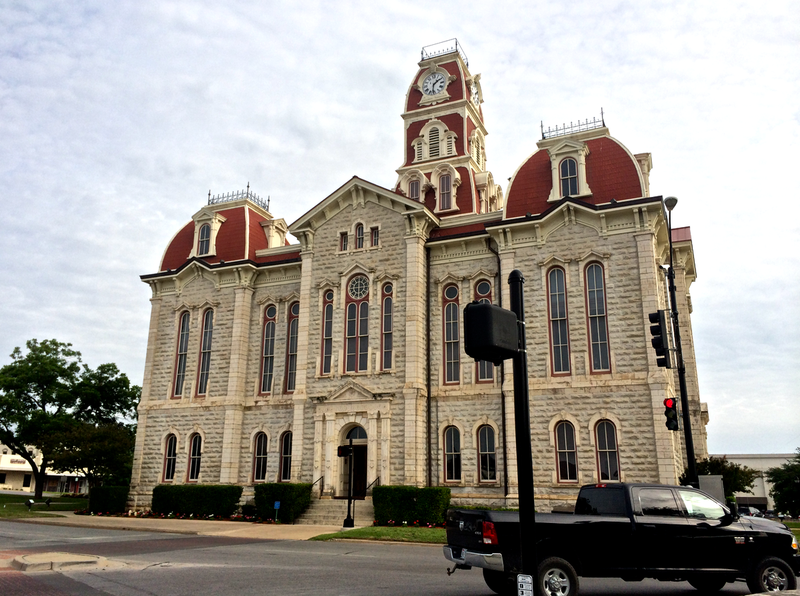 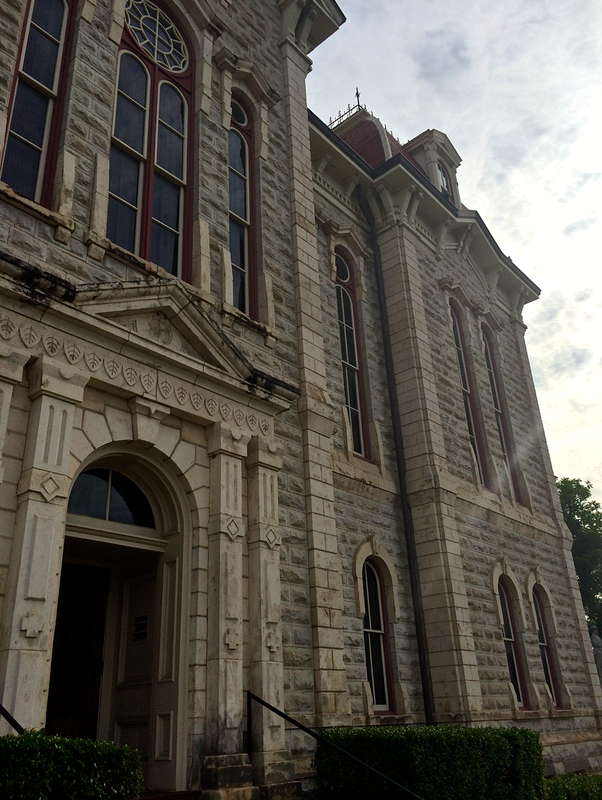 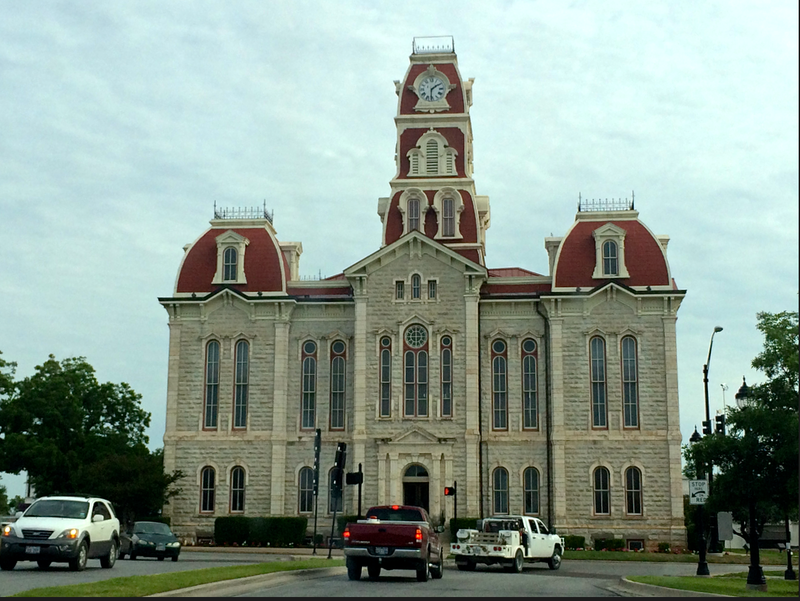 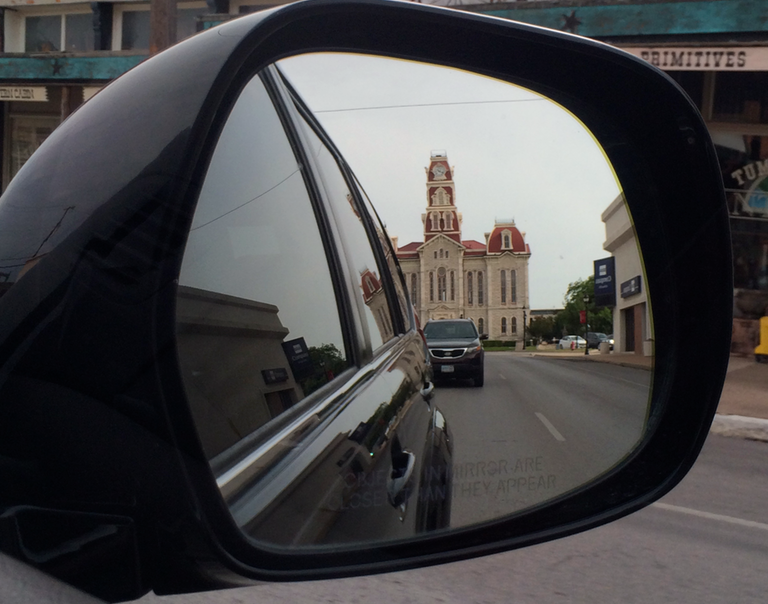 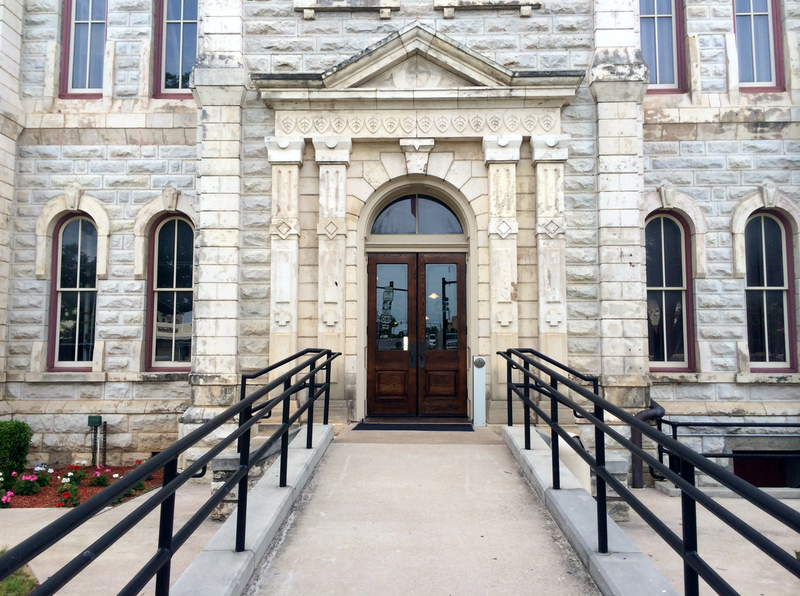 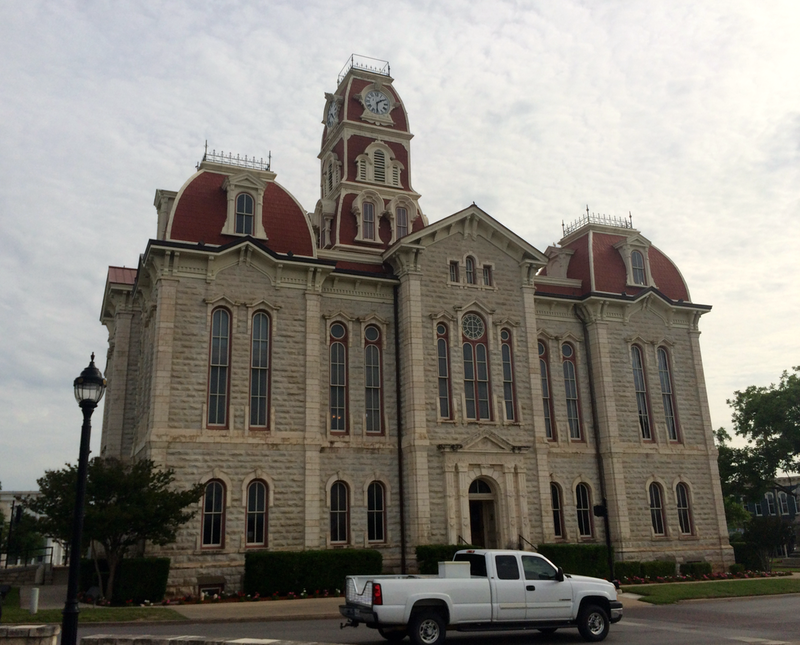 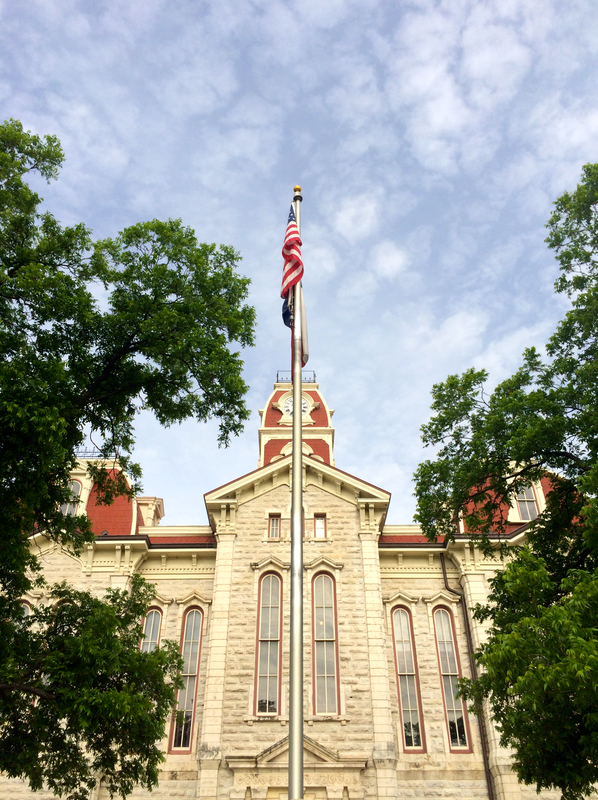 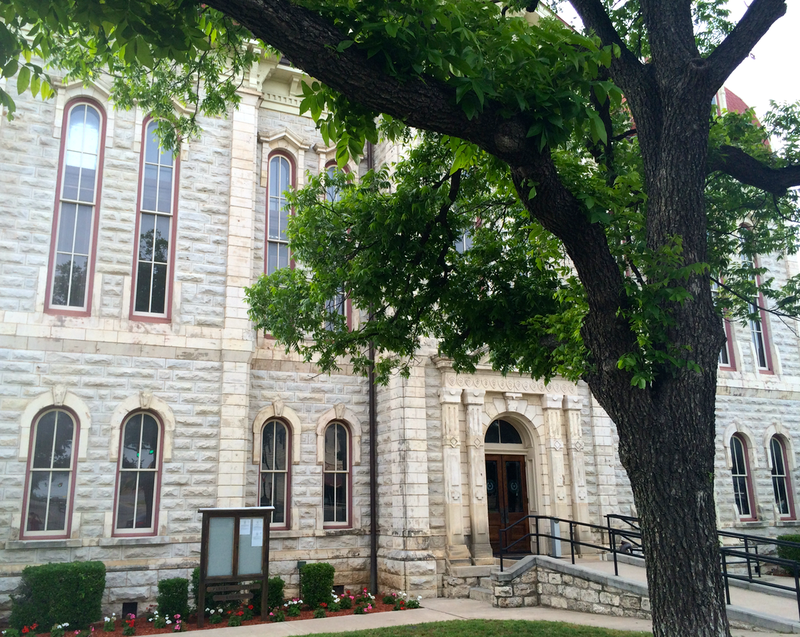 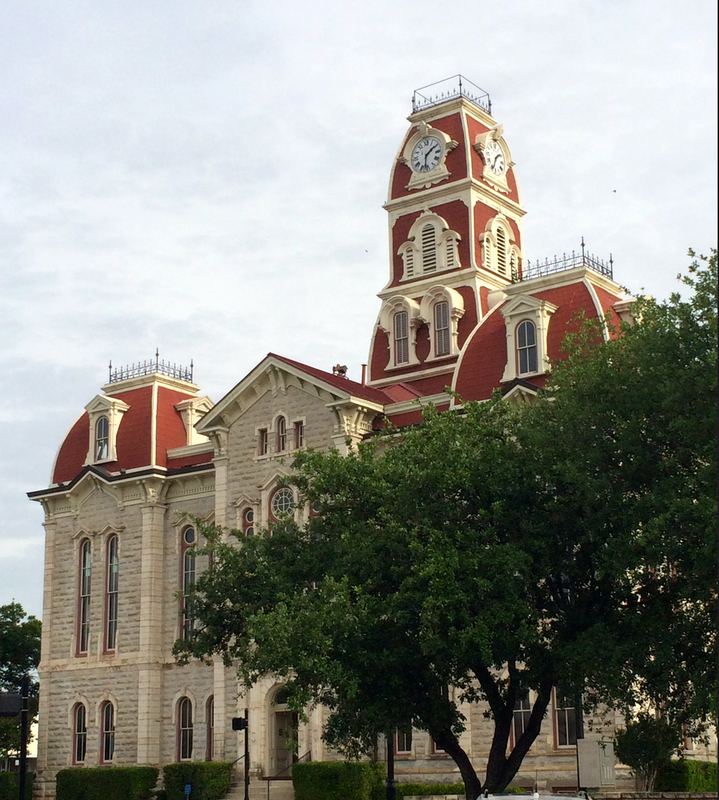 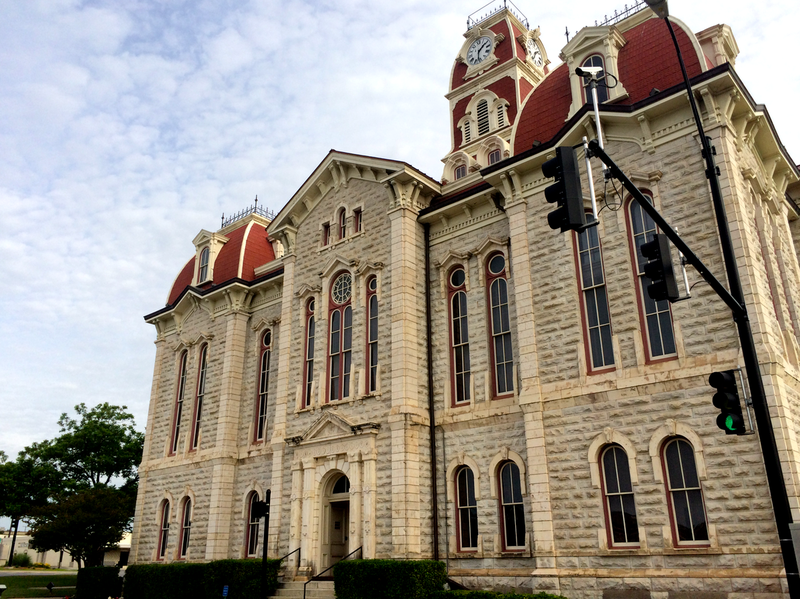 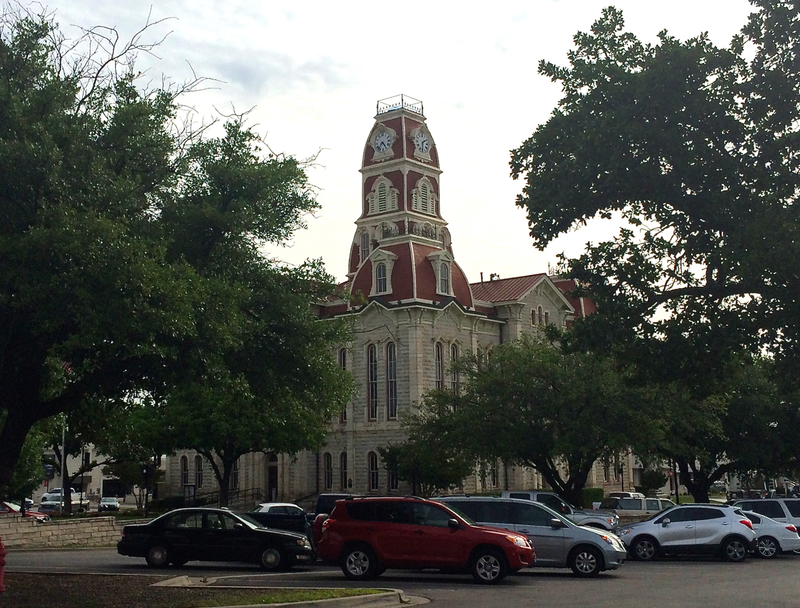 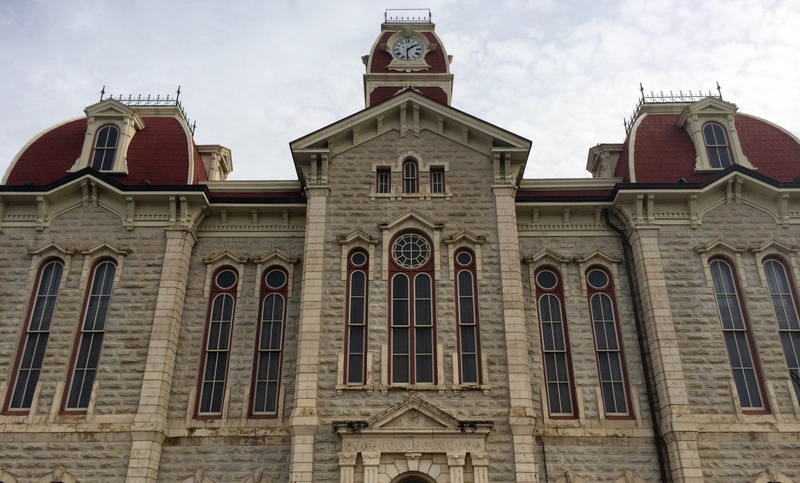 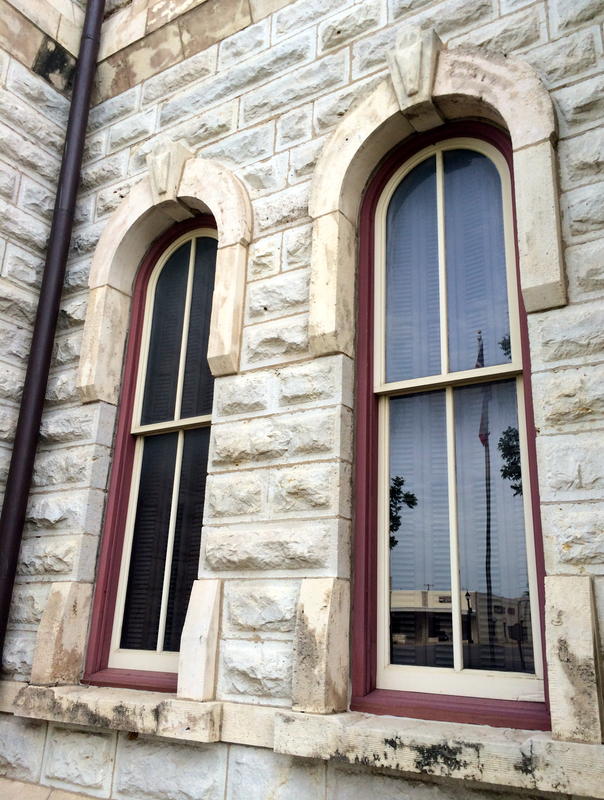 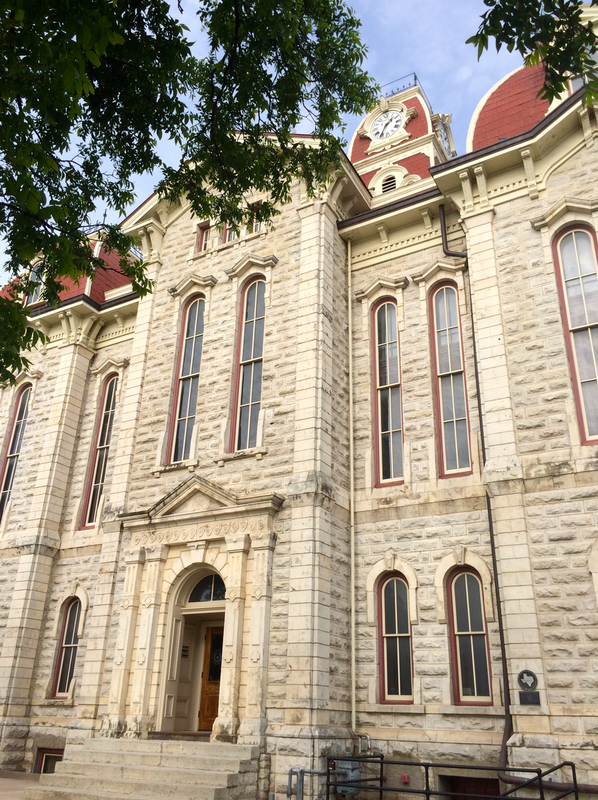 The Parker County Courthouse is an “eye-catcher” indeed. 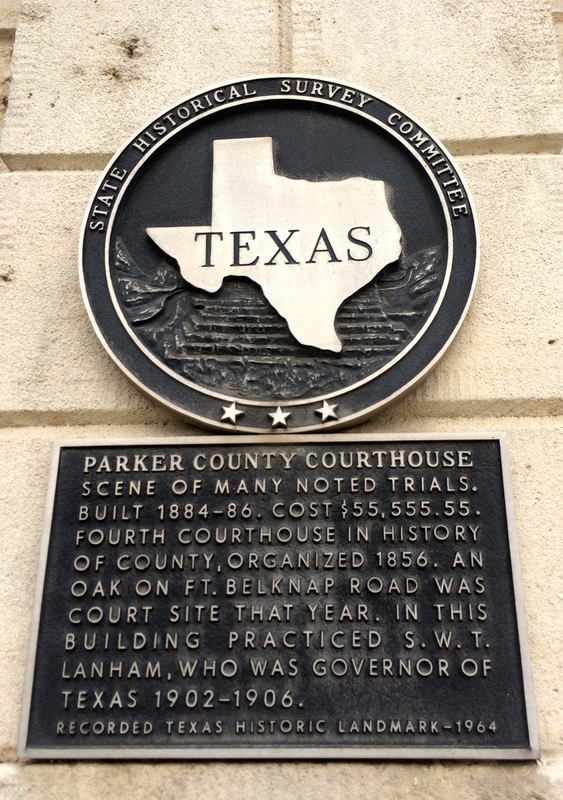 Two identical historical markers can be found on either the western or eastern side of the building. 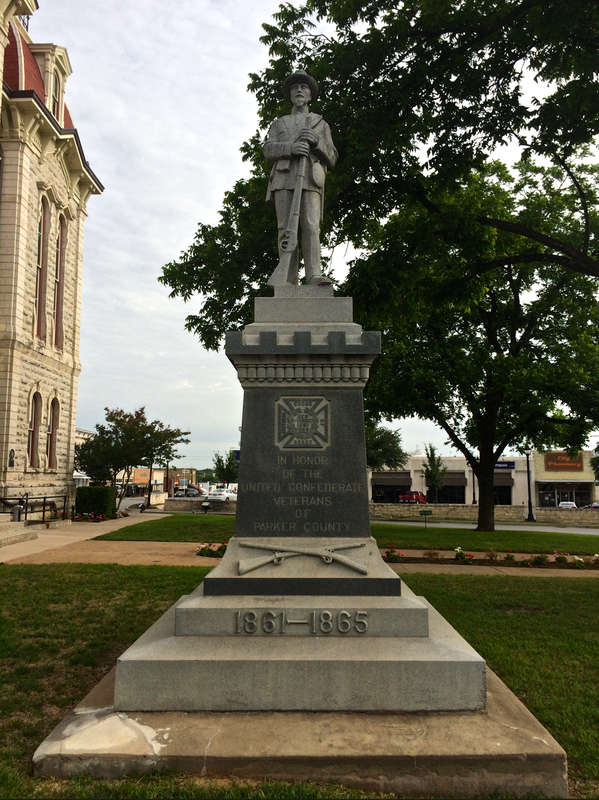 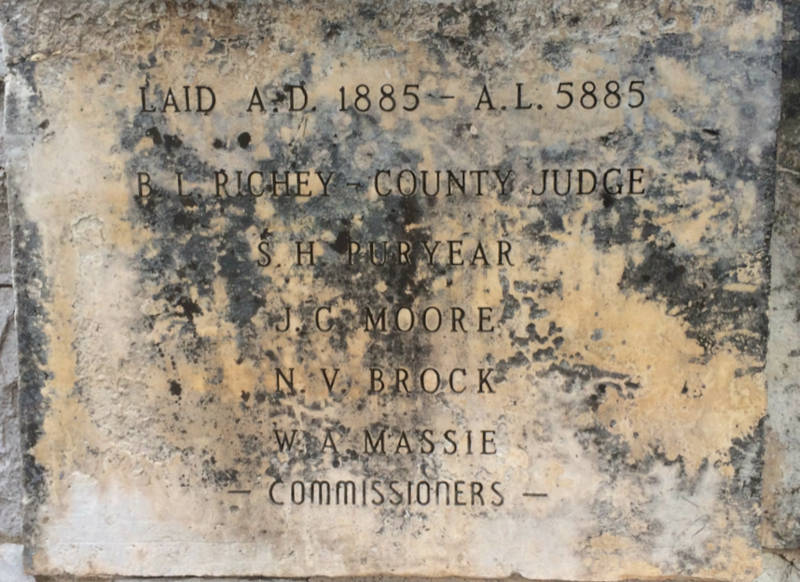 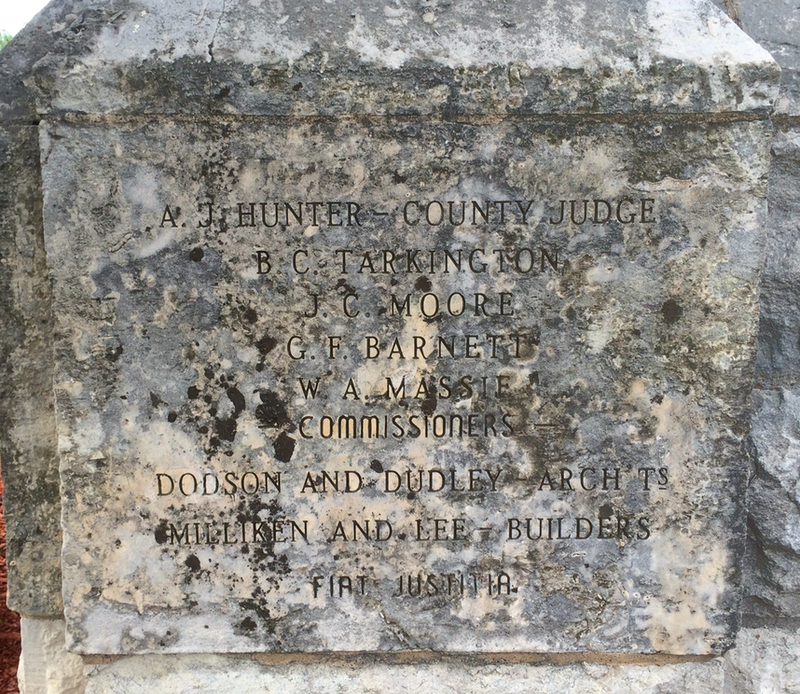 The cornerstone can be found on the northeastern corner of the courthouse. 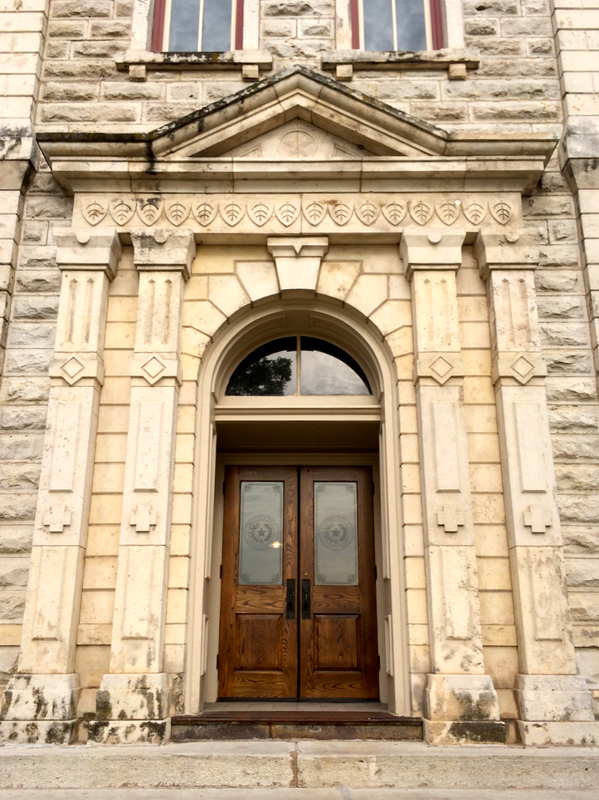 Fiat Justitia means ”Let Justice Be Done” in Latin. 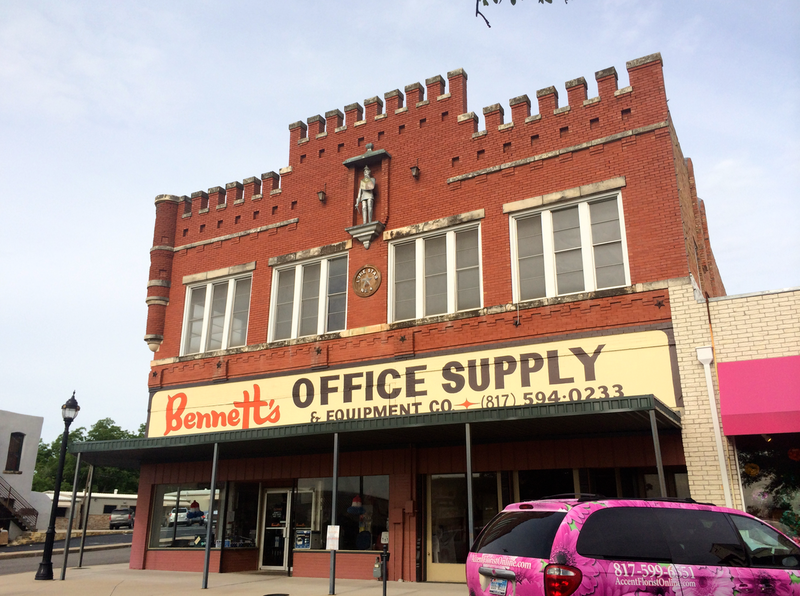 On the Weatherford square, the building that houses Bennett’s Office Supply has a peculiar characteristic. 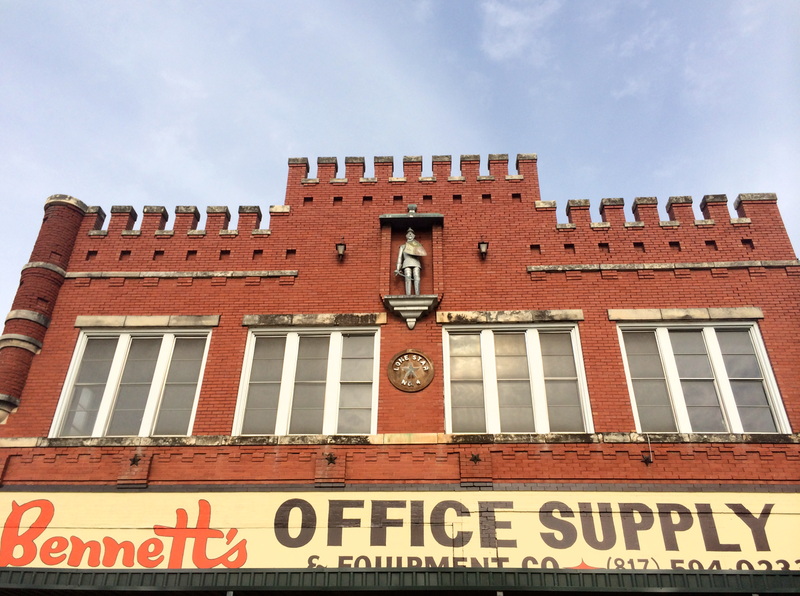 The significance of the knight is not known to me….for now. 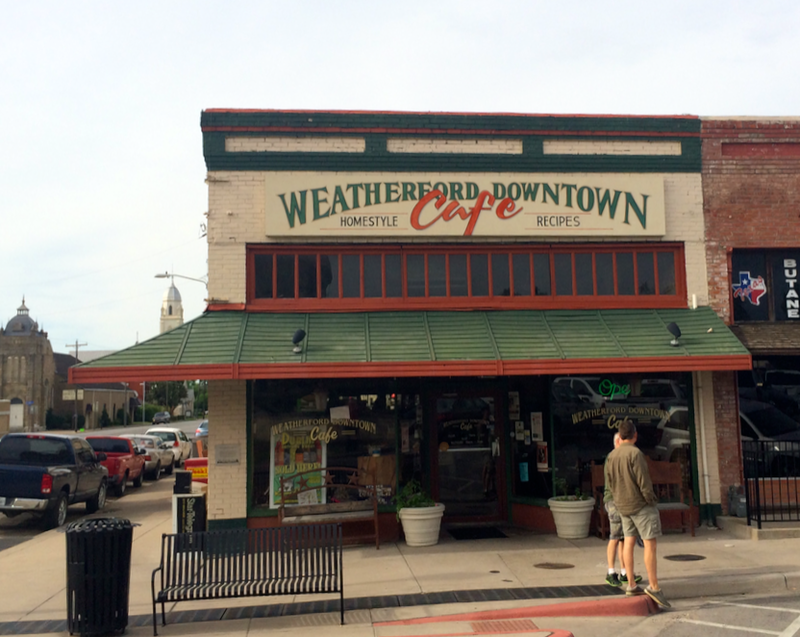 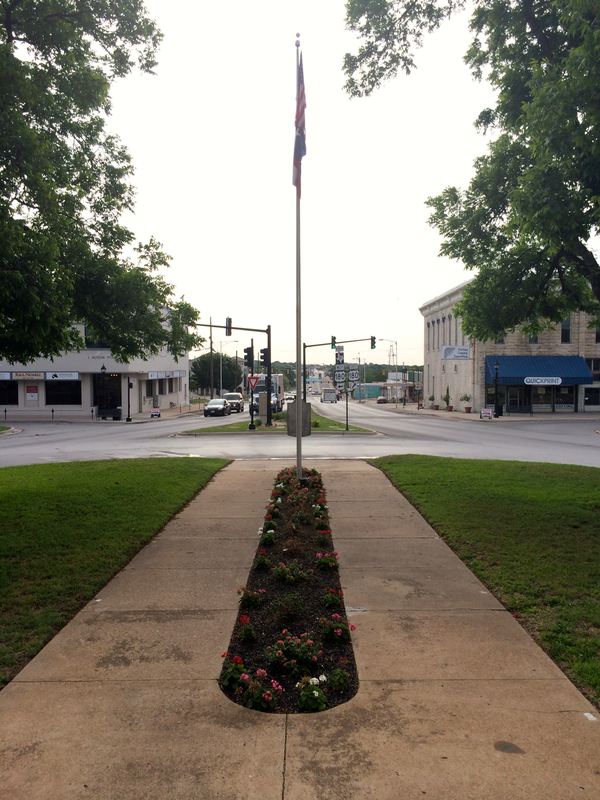 Also on the square is Weatherford Downtown Cafe, a recommendation of mine. 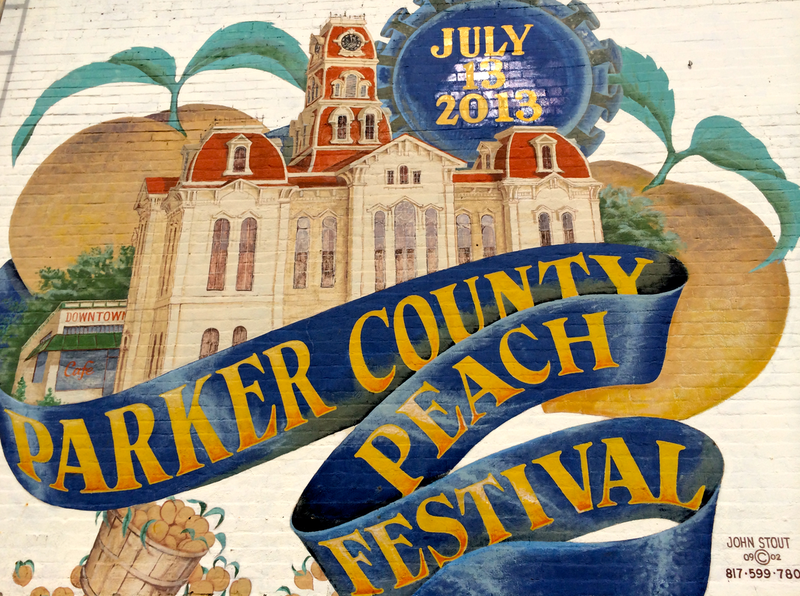 Parker County is known across Texas for its peaches.